Prepare your best material, regularly update it, so you exploit its full potential… See 6 essential tips on what do you need to do to show your talent in front of agents. Why is that? A decade ago we had and nowadays we have agents, agencies, even web pages dedicated to sport promotion. A web full of quality tips on how to become a professional footballer or what do you need to become a pro footballer. Where seems to be the problem than? 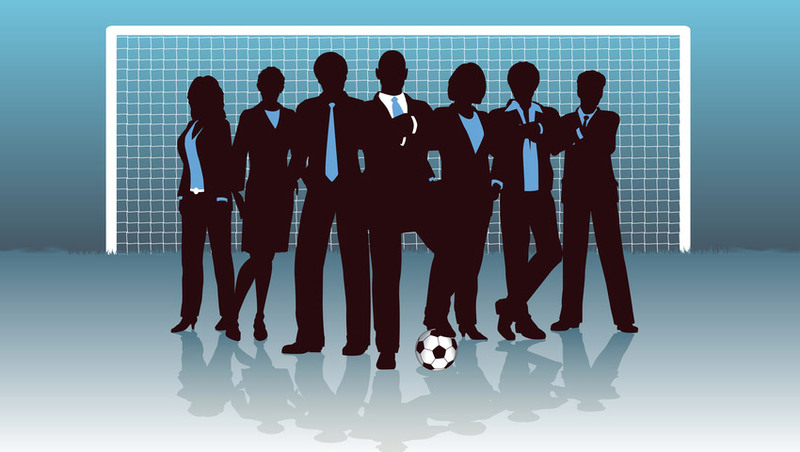 How come that a player cannot find an agent or an agent does not find a suitable profiled players? The first problem is in the industry system. Speaking from the player’s perspective: “I am ready to do anything to find a new club home or abroad. I have my promo video link ready, so I write an email, describing my qualities and past achievements and send it to every agent, whose contact details I can find on the web…” Some players still use ordinary mail, sending letters and DVD’s, thus spending a small fortune on mail costs, and getting the same result… Nothing! Nothing is what I’ll get, even though I am willing to wait and I am waiting… but, from agent’s perspective, the case is always the same. The answer on both of the above mentioned cases is a web platform, unifying both parties and also solving the problems of involved parties at the same time. Fieldoo will provide the tool to gather and organize all your data in one place, share it with one click and eventually make it your own personal career book. But what you have to do, is to prepare your best material, regularly update it, so you exploit its full potential. What do you need to do (better read: what do agents look for or want to see)? Check out 6 essential tips below! We’ve prepared a guide on how to complete Fieldoo player’s profile to give it a professional look and to also avoid being suspended. Learn more here. It is vital for you to have a promo video. Promo video is a short clip, made from various games (matches), where a player presents himself and emphasize his attributes. Ideally it is from three (3) to maximum ten (10) minutes long. The most important thing for agents is the date of the video. Promo video should not be older than 1 year, and should be regularly updated. Most of the players insert their best career moves and highlights, but the key is to show your best attributes in a promo video, not just the best moves. Photos are not so important as promo videos or entire games videos, but they contribute to your CV credibility. The trick is to post recent photos and photos that support your career achievements. Also the profile picture should be your front picture, probably in a club or national team jersey. Numbers and stats define your career, and, what is utterly important, they are verifiable. So, do not enumerate false statistics, trying to impress agents, but rather tell the truth. Some of the players are goal scoring machines, some collects yellow cards, but what statistics really reveals is your quality on the long run. It diminishes effects of one year, not playing, because of injury problems, or other factors, and emphasizes your entire career, revealing your true potential and value. Links are another factor of your credibility. An interview in a national or local newspaper or magazine, a match highlight or a video of your goal in evening news, or any other outsourced link or highlight increase your profile’s credibility and, what really counts, increase agents interest in you. One of the key features of your profile is also My Matches section; i.e. event calendar, where you inform agents and other interested public of your matches (games). For agents the information of when and where are you playing is quite vital, so they can organize their agenda and, if possible, come and see you play. 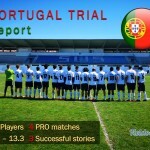 It is also very important to notify the public of your past performances, meaning that you need to inform regularly of your last match statistics and, if possible, back it up with external sources or links – official match statistics link, video of highlights, online newspaper report, etc.). Matches (events) are the key to your success. Every player should have a promo video and at least two (2) videos of entire matches, from the current or last season. Ideally players should upload or link up to three best matches of the season, so the agents can assure of the qualities they’re after. How or where to get the entire games videos is questioned by every player, but the fact is that a lot of matches are nowadays taped, and it is vital for the players to get them. The best way is to ask their club or competition organizers, or the person who taped the game for a copy, and also for a permission to use it on the web (to share it with others, analyzing the game…). Fieldoo gathers all of the above mentioned categories in one simple link with your name, to share it with the world (example: www.fieldoo.com/YourName). We’ll go step by step, starting with data (career stats…), promo videos and photos, adding features, like entire games videos, activity mode and more, on a monthly basis. 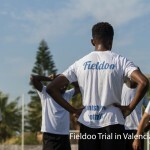 Fieldoo gives players access to agents, tool to organize and track the career, info on who saw their profile (CV’s), who is interested in them, and much more. The agents, on the other hand, will get rid of the spam mail, and get a unified, organized community of talents. 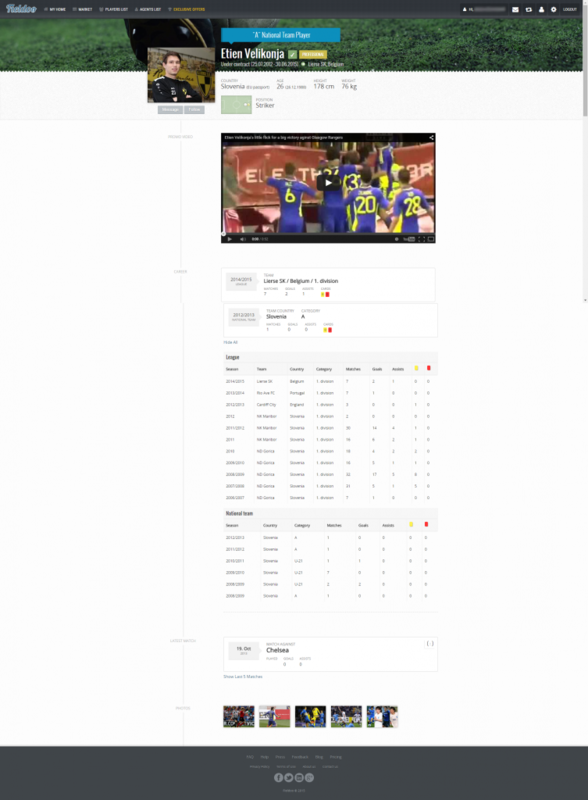 An easy to search data bank of potential and future clients…and with promos, photos, entire games be sure they will search it.